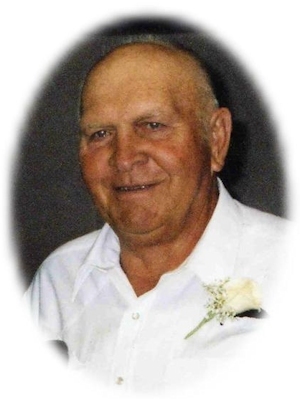 Obituary – Friend, Ronald « Perry High School Alumni Association, Inc.
﻿Ronald Friend, loving husband of Doris, passed away suddenly August 5, 2005 at his home doing what he always loved, working on his farm. He was born in Perry, Oklahoma on October 16, 1936 to Roy C. and Ruth (Studebaker) Friend. Ronald married Doris June Dahl on November 24, 1954 in Perry, Oklahoma. They celebrated their 50th wedding anniversary in November, 2004. He worked in the oilfield all of his life until his retirement in 2002, whereupon he and Doris moved back to Perry to pursue his hobby of raising cattle and working on the farm. Ronald was a member of the Noble County Cattlemen’s Association, Rock Township Fire Department and the Noble County Control Burn Association. He was an avid OSU football fan, who enjoyed traveling, playing cards and always had a story to tell. He enjoyed life to the fullest. He will be greatly missed by all that knew and loved him. A graveside memorial service will be 10:00 a.m. Thursday, August 11, 2005 at the Grace Hill Memorial Pavilion. John Dolezal will officiate. Services will be under the direction of Brown-Dugger Funeral Home. Memorials may be made to the American Diabetes Association or the American Heart Association in care of Brown-Dugger Funeral Home, 1010 N. 7th Street, Perry, Oklahoma 73077. Ronald is survived by his wife, Doris of the home, two sons, Mickeal Ray Friend and his wife Rosario, Bobby Dean Friend and his wife Karen, all of Seminole, Oklahoma; two daughters, Brenda Harmon and her husband, Terry, of Perry, Oklahoma and Ronda Meyers and her husband, Dennis, of Indiahoma, Oklahoma; ten grandchildren, Roslynn Friend, Mickeal Roy Friend, Jason Friend and his wife Tonya, Brian Friend and his wife, Kirsten, all of Seminole, Oklahoma, Lee Harmon and his wife, Lindsey, Lance Harmon and his girlfriend Misty and Lyle Harmon, all of Perry, Oklahoma, Ashley Hall and her husband, Billie of Stillwater, Oklahoma, Charity Moxley and her husband Tim and Christian Sadler and his wife, Nicole, all of Perry, Oklahoma and six great-grandchildren, Karlei Friend and Tatum Friend, both of Seminole, Oklahoma, Landon Harmon of Perry, Oklahoma, Ashtun Friend of Seminole, Oklahoma, Haiden Moxley and Cade Moxley, both of Perry, Oklahoma. He was preceded in death by one daughter, Debbie Sadler, his parents, Roy and Ruth Friend and three brothers, Vern Friend, Glen Friend and Jackie Friend.